WhatsApp now supports group video and voice calls in its latest version 2.18.162, which you can download right now without any geographic restrictions from Uptodown. We’ve been waiting for new features for WhatsApp for weeks now but they’ve been playing hard to get a little bit. Luckily, we can assure our readers that group voice and video calls are now active on WhatsApp. Of course, to use this new feature, you need to have the latest beta version of the messaging app installed, 2.18.162, which you can already download from Uptodown. It’s not much of a mystery to make group calls on WhatsApp. Anyone who’s used the calling feature before won’t have any problems doing so with more than one person. To make a group voice call, first, you have to make a call to one person. Once you’re connected, a new icon will appear in the upper right part of the screen. When you tap it, you’ll access your contacts where you can select a new person you want to add to the group call. These calls are limited to a max of four participants and anyone in the group can invite other contacts to participate. Also, if one of the participants leaves the conversation, the call will continue until only one person is left connected. For now, we can only call one person at a time, although in the future, we’ll probably be able to make connections directly with multiple participants at a time. 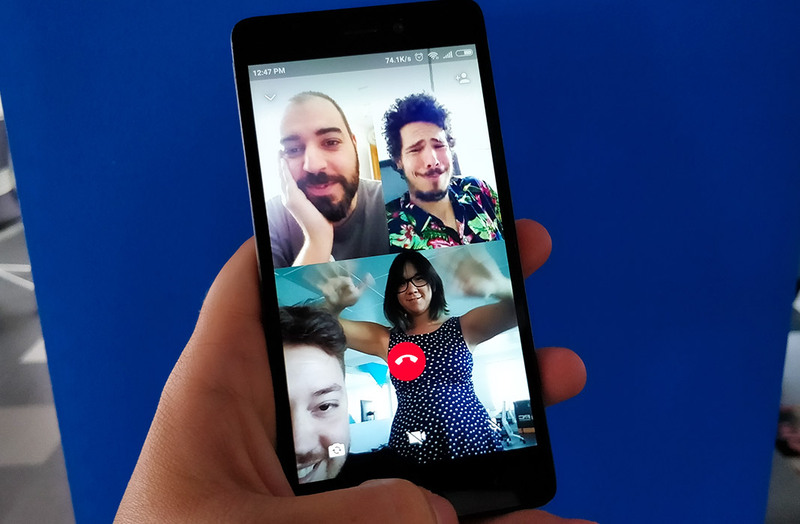 The group video calls work exactly the same as the voice calls. But we’ll sum up the process again just so it’s clear. First, you start a video call with one person. When you’re connected, tap the new icon in the upper right part of the screen. Choose the person you want to add to the conversation from your contacts. Anyone in the video conversation can invite other people, as long as there are no more than four participants in all. The video call continues as long as there is more than one person in the group. 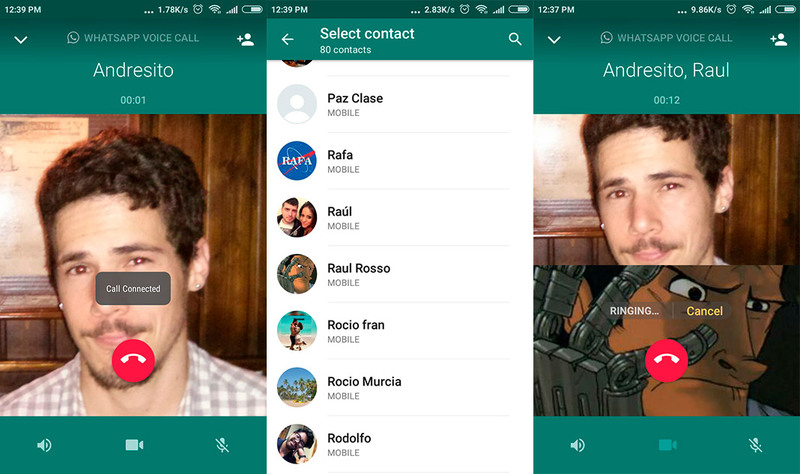 You can change the video call to a voice call and viceversa. The quality of the video call depends a lot on the device and the connection of each of the participants, although in general, we haven’t noticed any significant glitches in our conversations. Just remember, you have to have the WhatsApp beta version 2.18.162 to enjoy this new feature.